This MFPIAC challenge (My Favourite Pictures In A Collage) was Mosaic Tiles. I could not find any decent ones in my area, so I ultimately, and at the last minute, resorted to going to the local flooring store to get some shots of tile samples that most closely fit the requirements. Well, CC @gardenfolk - here is one for your challenge but it really is rather lame! It was a tough subject. Mosaics are not popular everywhere. I think it really depends on the ancestry of the local population and I live in a Scottish area. Well done. Not an easy task. Very clever. I like the designs. @farmreporter I think it looks nice and it’s the only one in B&W so you never know! There are plenty of B&W fans on 365. Thank you for entering, Wendy! that was a smart move, lovely collage. 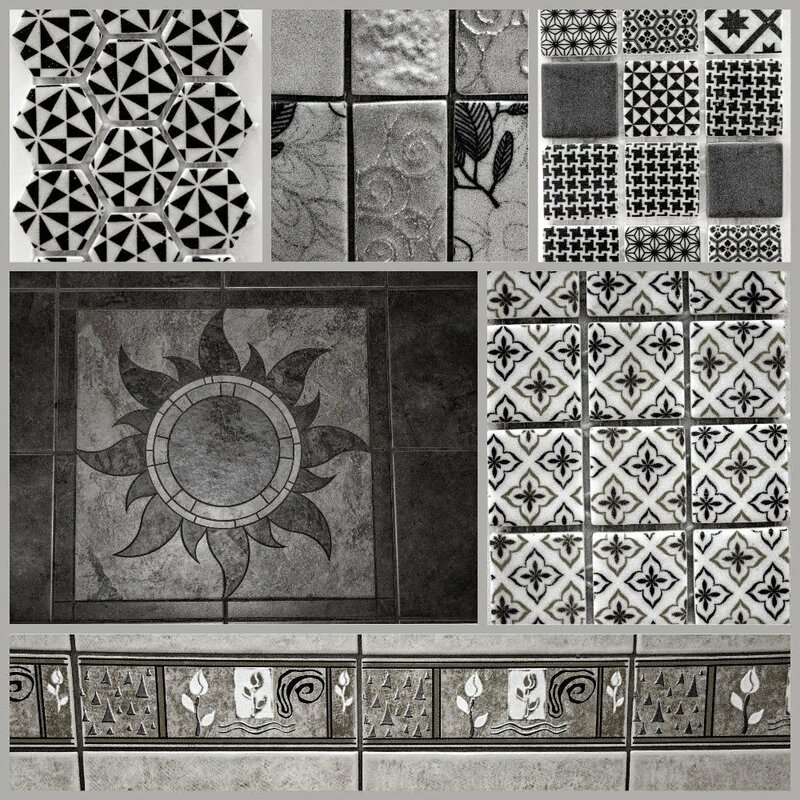 Beautiful collage of those tiles. They make some lovely tiles these days.....the tile shop had some real beauties when I went choosing with daughter.